I made a pledge at the beginning of this year to read and review 6 books by female Australian authors. I thought it would be easy – I read all the time and writing a review of each book would be no trouble. I also managed to read Elemental by Amanda Curtain, Land of the Sleeping Gods (non-fiction) compiled by Jane Cooper, Tiddas by Anita Heiss, and probably several others I forgot to record! 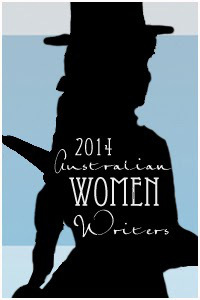 I am hoping to repeat the challenge next year, with a new lot of novels by female Australian authors, so look out for a post early in the new year with more details. In the meantime, I wish you all a wonderful and safe holiday period, and a very happy new year!